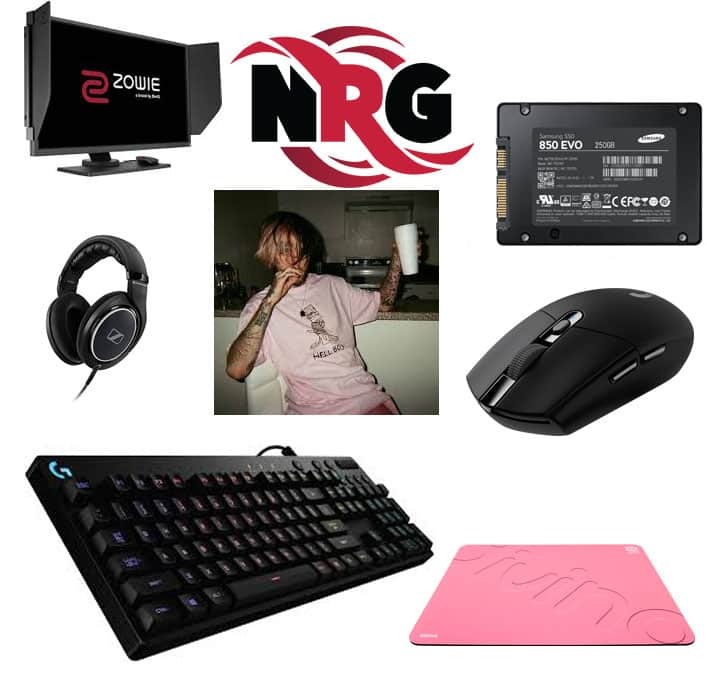 Dizzy just won the Twitch Rivals Apex Legends Challenge with Ninja and NRG KingRichard. 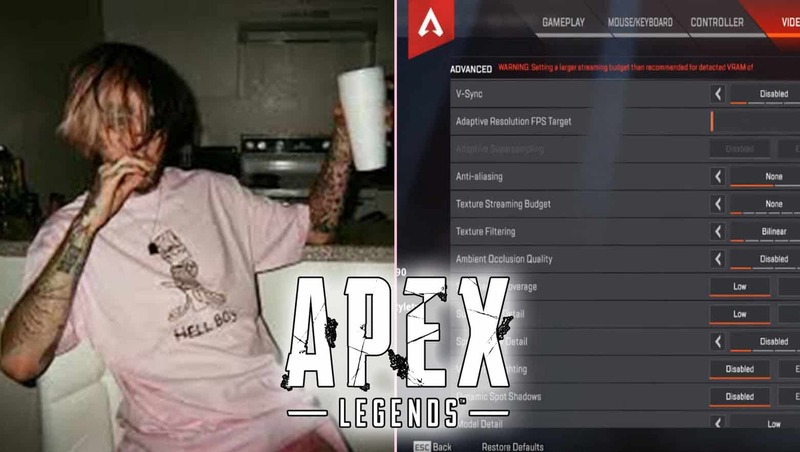 With his display of dominance, everyone is wondering what is Dizzy Apex Legends Settings PC, Sensitivity, Video and Keybinds. 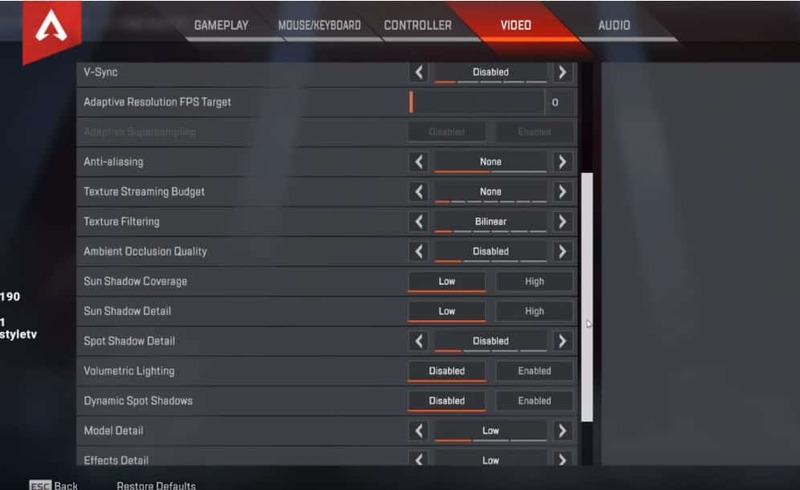 Here’s Dizzy’s PC Settings. Coby Meadows, also known as Dizzy, has been dominating Apex Legends like no other professional gamer. 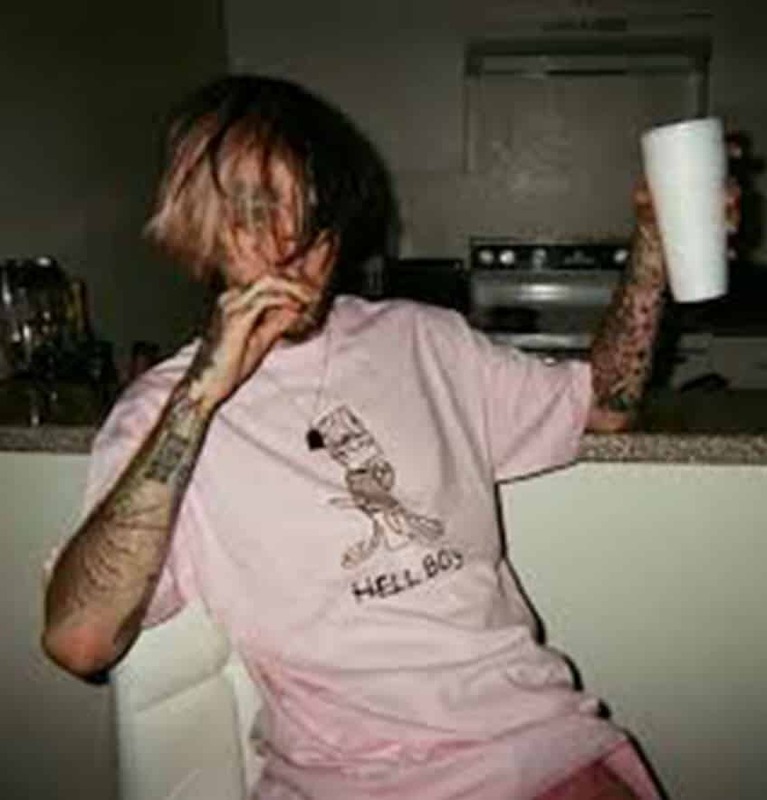 Dizzy is first player to reach Apex Legends level 100 and many have no crowd Dizzy King of Apex Legends. With all this talk about Dizzy’s performance at the Twitch Rivals Apex Legends Challenge yesterday, one of the most asked questions in the chatbox was Dizzy Apex Legends Setting and what he has them at. 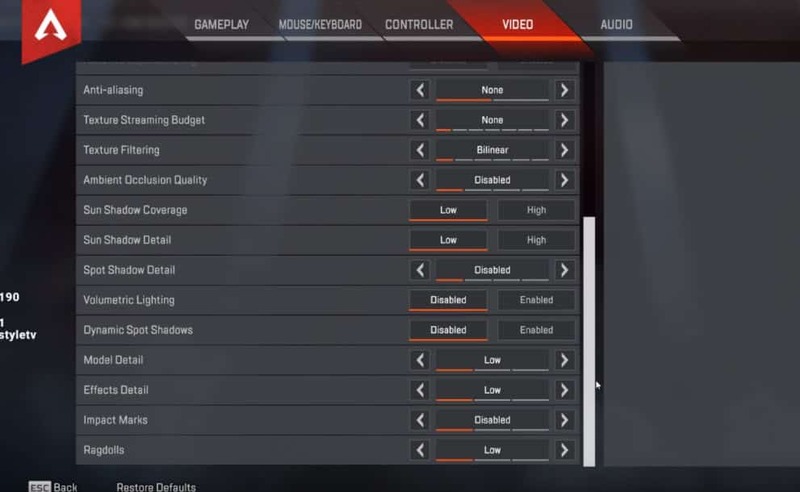 Here’s Dizzy’s Apex Legends Setting according to his game account settings. 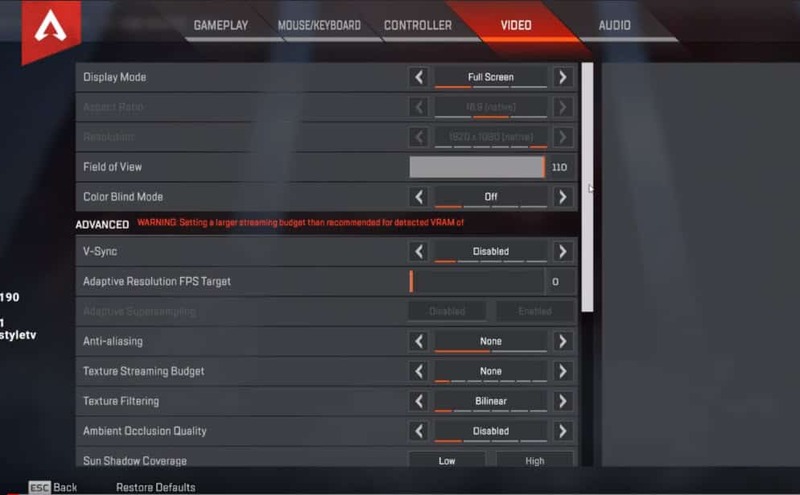 Dizzy was kind enough to share his PC settings for Apex Legends during his stream of the Twitch Rivals Apex Legends Challenge. He started things off with his Video settings showing that his Display Mode is Full Screen, with an aspect Ratio of 16:9 (native) and Resolution being 1920 x 1080 (native). Here’s how everything else is set. 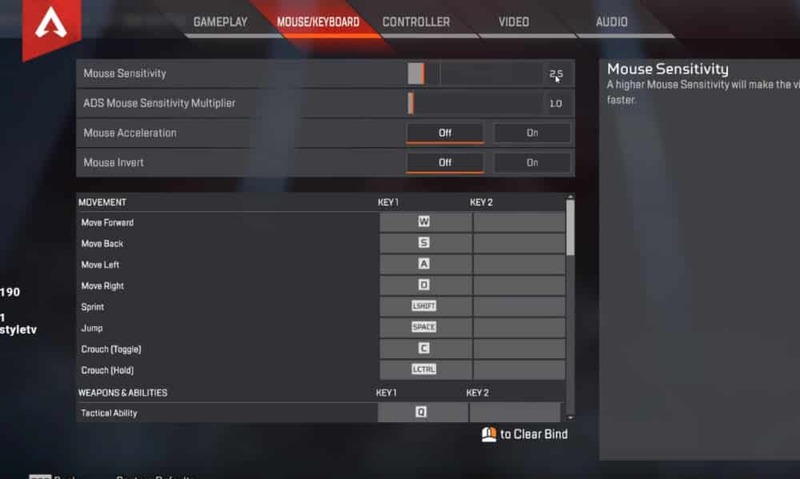 Here’s Dizzy’s mouse settings, which is sought after by many gamers who tuned in to yesterdays Apex Legends battle fest. NRG Dizzy also showed us his movement settings in Apex Legends which is as follows.